As we Ethiopians think of celebrating the New Year ahead, many of us look back to 2015 with much sadness in our hearts regarding the many struggles and losses we faced throughout the year. It was a year of difficulty from the start with the senseless deaths of countless Ethiopians, many of them young and at the peak of their lives. Tears are not yet dried on the faces of the grieving mothers and fathers. Pain and shock are still visible in their eyes or in the way they move or walk. Silence pervades the towns and villages across the country where loss, suffering and hard times are affecting many. The whole country is in shock— mourning and grieving instead of celebrating like people elsewhere. The beginning of 2015 was no better. During this year of the Ethiopian National election, a threatened TPLF/EPRDF regime used a heavy hand in cracking down on the political leaders, opposition groups, journalists, activists, democratic voices and even mild critics. This meant more than simply rigging the election to a final 100% victory for the regime; instead, it came at a horrific cost to countless people among us. To them it meant death, beatings, torture, intimidation, arrests and imprisonment. They and their families have suffered. Yet, to the TPLF/EPRDF, it meant they could operate in a vacuum without criticism; controlling the Parliament with no one to question their actions, to debate their proposals or to sharpen, modify or shape their ideas to something better. The tragedies of 2015 reached a low point with the brutal beheadings of 30 Ethiopians in Libya, again, young people hoping to find a better life outside of their mother country. Some 100,000 people came out to mourn and protest against a regime that has triggered mass immigration due to its repressive policies and ethnicbased favoritism, despite efforts by the regime to silence them. As a result of so many young people leaving the country, we saw Ethiopians burned alive in South Africa, drowned in both the Red Sea and the Mediterranean Sea, trafficked to the Middle East or detained indefinitely in countries throughout Africa and the world, many now awaiting deportation back to the country that has abandoned, harmed or threatened them. No one knows what the New Year 2016 will bring. Will more families be losing their loved ones? Will still more among us have to gather together to mourn the passing of a young student instead of gathering to celebrate his or her graduation? How many more will suffer as they try to bring God-given rights to Ethiopia? How many will leave the country? Will next year be better? We don’t know. Are you worried about this ethnic apartheid regime-sponsored violence exploding out of control resulting in Ethiopia becoming a failed state like Syria, Somalia, South Sudan and others? Are you worried about the famine and the 15 million or more people at risk of starvation while at the same time the regime is hiding the seriousness of the food insecurity? Are you worried that the number of Ethiopians in hunger could quickly climb if accompanied by an escalation of the current violence, destruction and possible displacement? Are you worried about the destruction of our limited infrastructure— destroying any progress accomplished in the last decades? Are you worried that no country in the world is prepared to receive the number of Ethiopian refugees should such a tragedy drive people from their homes, land and country? As someone who is a human rights defender, not by choice, but as a result of the loss of so many of my loved ones, friends and colleagues, I had to think a lot about how to respond, especially since others in the country were also suffering. I finally came to the conclusion that sustainable justice will not come to any other group until it comes to all— that no one will be free until all are free and that someone else’s loss of a loved one was just as important as mine. In fact, I do not want any other Ethiopian ethnic group to go through what the Anuak went through on December 13, 2003 when they were targeted for their ethnicity and slaughtered in front of their families in their own homes where they were supposed to be safe, let alone being murdered by national security forces whose job was to protect them. At the time, no other Ethiopian groups seemed to care. Had there been outrage, the outcome might have been different. This should be who we are— people who stand up for others. This is not only practical but based on the view that God cares for people of every “language, tribe and nation.” We should do the same. However, right now, one of our biggest problems is breaking a deep-seeded indifference to the pain and suffering we can cause to others. Those in leadership positions hold extra responsibility. Our disregard for others outside our groups is uncomfortably close to the attitudes and actions of our present and past regimes in Ethiopia where they held a strong ethnic bias towards their own groups, especially their cronies who they rewarded for unswerving loyalty regardless of what was done. On the other hand, they also held strongly held prejudices against others, especially competitors. Age-old grievances and resentment were used as weapons; justifying acts of injustice, repression and exclusion, much like today. Such thinking has clouded our view of the humanity of the “other” outside our own groups. It is morally wrong, manipulative and will eventually backfire or be repeated— perpetrator to victim, victim to new victim and so forth. How can we have a better future if we continue to be repeat the past; if we remain self-focused, self-serving and hostile towards others without a willingness to resolve our differences? I am very concerned today regarding the future direction of our country; especially in the era of which we live where we have seen many nations become failed states. Over a short period of less than a decade, we have witnessed this upheaval of whole societies, resulting in so many innocent victims of violence, displacement, starvation and death. I worry that this is where our country is heading. Ethiopia is in crisis and even experts warn that the country could be the next failed state, certainly driven by the TPLF/EPRDF, but also driven by long-standing attitudes that have divided us. Can we and should we depend on outsiders to “fix” Ethiopia or is that a false hope and a way to shirk our own responsibility to find a solution? We can put pressure on donor countries and members of the international community to help, but too much is going on in the world today to think it will happen in a timely fashion or at all. After all, the idea of “regime change” has become less acceptable as most outsiders choose stability over a collective responsibility of saving the lives of people, like in Syria, where more than 200,000 people were killed and over four million displaced. Despite mass killings and atrocities around the world, no action is usually taken. On occasion, some of the most powerful countries have sufficed by giving only lip service to it without meaningful action. In other words, if outside intervention is based on mostly on self-interest and if we do not handle our present crisis properly so Ethiopia descends into destruction, violence and chaos, we are basically on our own. It is sad to say this in the 21st century, but we must find our own solutions to this impasse. As the TPLF/EPRDF panics, thinking there are no options but to use increasingly greater force against its own citizens, leading to the destruction of our country; we are indeed jeopardizing our future if we do nothing. How can we create more unity between those who want a victory for all Ethiopians, not only for themselves? How can we convince others of the value and practicality of building a society based on these values? How can we best collaborate, both with those on the ground as well as with those in the Diaspora, in order to peacefully achieve our goals while upholding our core moral values? Are you willing to start talking to each other rather than about each other as a first step? How can we work together to come to the aid of those people in Ethiopia who are at greatest risk of harm or hunger? How can Ethiopia become a home to all our people? How can people of faith play a role? Looking at all of this, one of the most important questions to ask is: who is our biggest enemy? The easiest answer is the TPLF/EPRDF, but they may become victims as well. They are increasingly finding themselves stuck in a corner, not knowing how to find a way out without attacking with all their strength. Admittedly, they want things to go on without accountability, but it is becoming increasingly impossible for them. As they become desperate, believing their only alternative is more killing, violence, arrests and repression; they are creating a scenario with all the ingredients ripe for a violent backlash from the people of Ethiopia and with it, the destruction of Ethiopia. This is the worst possible outcome. However, in my opinion, I believe our worst potential enemy is ourselves— the people of Ethiopia; that is the case if our pride, resentment, blaming of others, and stubbornness cause us to cling to our age-old prejudices, intolerance, and rigid hostility towards others, causing us to become complicit in our own destruction. On the other hand, we are also in a position to alter the course of this conflict if we reach out in repentance, forgiveness, humility and in a genuine effort to mend our differences and to do what is right towards our fellow Ethiopians. If we settle for our own self-centered goals, advantages and power-seeking for our network of loyalists, ethnic group, region, religious group or whatever group one seeks to advance at the expense of others, we are in the deepest of trouble. We too can use “ethnicity” or some other defining feature to corral others to support us when our underlying motivation is simply ambition for power or the material advantages of misused power. God calls us to live rightly with our neighbors. To tackle the huge challenges of 2016, we must start talking to each other rather than about each other. The regime in Ethiopia has tried to prevent that from happening because they understand that when you get to know someone, it is harder to dehumanize that person. Instead, speaking negatively in generalities about a whole group of people is a way to foment hatred and division and to maintain one’s own power. Let us be people who can think for ourselves; not following “group-think” tactics like the TPLF/EPRDF has used to control the people. Let us discard the propaganda fed to us about each other, being mindful that the TPLF came from an ethnic mindset from the beginning. The TPLF fought against the Derg in the name of their own ethnicity, not humanity; and in the name of their own region instead of a nation. They manipulated the society into accepting them as national leaders, and in doing so, they exploited that position. They have finally dug their own inevitable graves, but now they want to take us all down with them and too many are willing to help them. We must think critically about this selfish point of view that blocks us from seeing the value and rights of others. The good news is that if we face our own complicity in the current problem; it also means we can all, including the TPLF/EPRDF, start to look for other better solutions for all. We do not have to become the downfall of our own country if we instead begin to take steps to engage in a dialogue leading to building trust, reconciliation, meaningful reforms and the restoration of justice to all Ethiopians. Right now, we in the Solidarity Movement for a New Ethiopia (SMNE) are working hard to create a voice of reason, made up of a group of people of different ethnicities, regions, religions, ages, genders and backgrounds— who share a commitment to finding just and effective solutions that can help avoid widespread destruction and killing. They also would have a role, along with others, in building institutions on Ethiopian affairs; however, a major role would be to reach out to become a bridge between factions and groups that cannot work together, including the TPLF/EPRDF. We must look for options, perhaps previously unknown or unavailable to the TPLF/ERPDF for the integration of its members into a future new Ethiopian society as they are part of us. The road ahead to the future is about the future of all of us. If there is destruction, it will be the destruction of all of us, not only of a few. If there is a mass killing, it is a killing of ourselves. If there is bloodshed; it is our own blood. The outsider will not see the difference between the eighty or more ethnic groups in Ethiopia but will simply see it as Ethiopians killing each other. Much is at stake. Now is the time to seek God’s help in finding a lasting solution that can help save all of us from the worst. 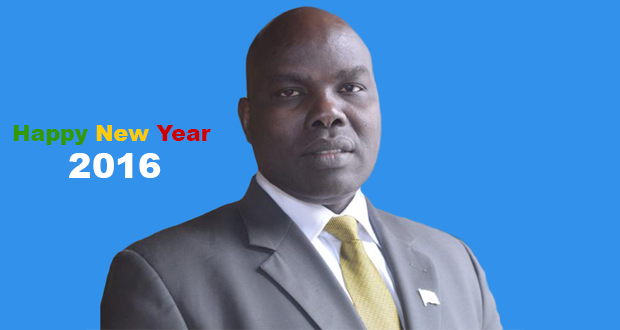 Let 2016 be the year of God-given, people-enacted, remarkable recovery. Ethiopia has always prided itself as being the only country never colonized in Africa. How about Ethiopia, including those in the TPLF/EPRDF, becoming a miraculous model for a moral, just, equitable, and peaceful transformation—God’s way? That would be truly remarkable! May God protect us and prevent us from any actions that will lead to the mutual destruction of all of us!